Spoiler : (birth name was Jane Sherwood) Born in New York City 10/12/1900); died 11/11/1974 in Manhattan, New York. 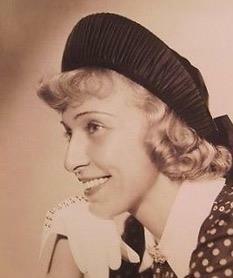 Married to Ace Goodman 1928-1974 her death). Co-star with husband Goodman Ace on The Easy Aces for CBS- Radio (1930-1945). Host of Jane Ace, Disk Jockey on NBC-Radio (1951-1952). Jane on the syndicated filmed version of Easy Aces for DuMont-TV (1949-1950).